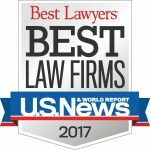 Scott D. Spiegel - Lynch, Cox, Gilman & Goodman, P.S.C. Scott Spiegel is a Shareholder and President of Lynch, Cox, Gilman & Goodman, P.S.C. He concentrates his practice in the areas of labor, employment and litigation. He is a former president of the Louisville Bar Association and former member of the House of Delegates of the American Bar Association. 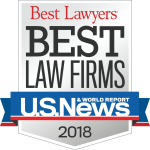 Scott is also listed in The Best Lawyers in America – Litigation – Labor and Employment and Best’s Directory of Recommended Insurance Attorneys. He is A V Preeminent Peer Review rated by Martindale-Hubell. Mr. Spiegel holds an undergraduate degree from Miami University and a J.D. from the University of Louisville Brandeis School of Law. Mr. Spiegel has extensive experience counseling clients on labor matters, including negotiations for companies with labor unions. A major focus of Mr. Spiegel’s practice is assisting clients with employment-related issues, including defense of state and federal employment claims, EEOC complaints, state discrimination complaints and NLRB complaints. In addition, Mr. Spiegel frequently helps clients with preparing human resource policies and documents, such as employee handbooks and affirmative action plans. He also has experience negotiating both employment contracts and separation agreements.